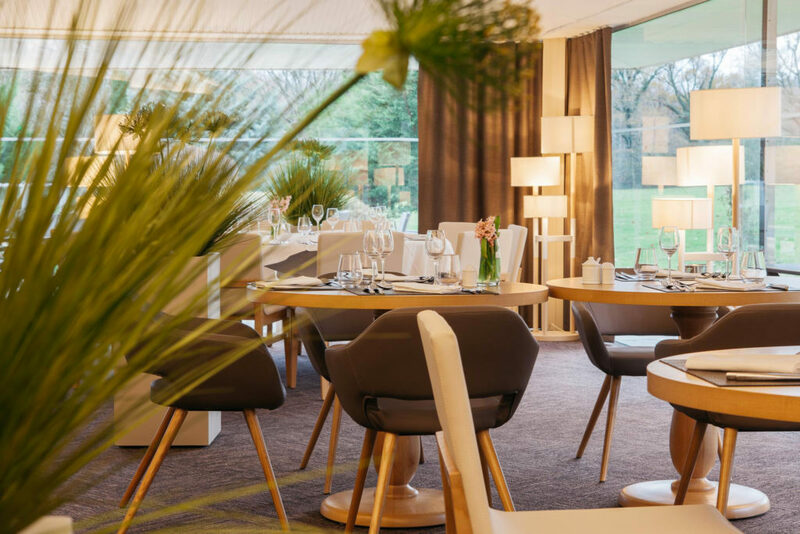 The team of our restaurant La Table du Bois welcomes you in our restyled dining room. You will find traditional and gourmet cuisine, influenced by the seasons and prepared by our chef Antoine Barbou, all from fresh regional produce. During the summer months the shaded terrace and swimming pool will plunge you straight into a holiday ambience. Whether you’re looking to organise your business lunches, seminars, evening cocktails, or for somewhere to hold a family reunion or even a wedding, ours is in a prime location with an idyllic setting for you to consider. The whole team at La Table du Bois reserves you a personnalised welcome. Whatever the occasion our restaurant will be sure to exceed your expectations and make any plans possible.